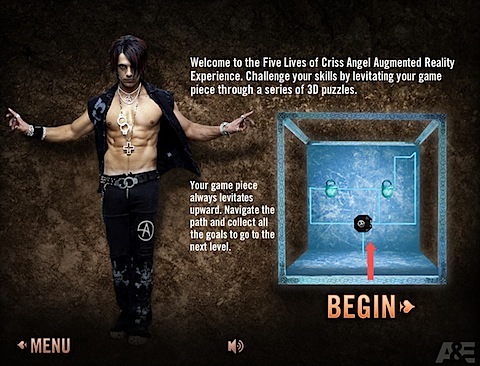 I wanted to give a shout out to a couple of buddies at mine at Circ.Us who just created an augmented reality game for Criss Angel. If you have a printer and a webcam, you can set up and play a three-D web maze game by going here. Fun way to spend a Sunday Morning with the kids. Tip: iPhone screen works perfectly, and is probably easier to handle than a flimsy sheet of paper even if you have a printer handy. said Stephen on August 9, 2009 2:15 PM.